Defense Minister Avigdor Liberman today (Sunday) disputed the criticism levelled by the families of Hadar Goldin and Oron Shaul, who claim that the Netanyahu government is not working to return their sons to a grave in Israel, and does not pressure Hamas. Liberman thanked Lt. Gen. (Res.) Lior Lotan, who handed his resignation after three years in which he served as Prime Minister Netanyahu's representative on matters of captives and the missing-in-action. "I would like to thank Lior Lotan for his devoted work, his commitment and his efforts, and I accept with understanding and love the criticism of the Goldin and Shaul families and continue to be personally committed to the return to Israel of Hadar and Oron and our citizens held in the Gaza Strip in violation of international law. 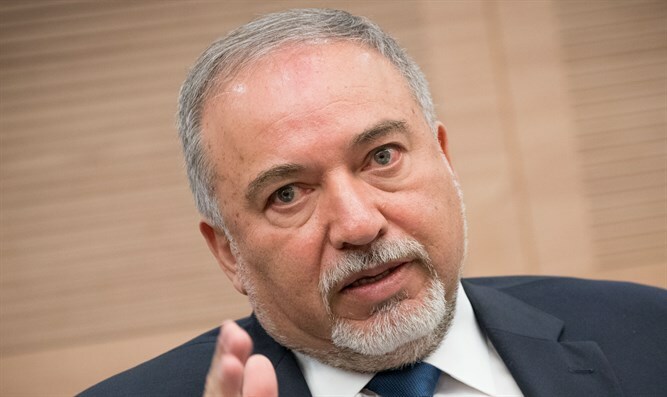 I consider this to be of supreme moral and ethical impotance, first and foremost to the families, and to the IDF and the State of Israel," Liberman said. He stressed, however, that "we must not repeat the mistake of the Shalit deal. In that deal, 1,027 terrorists were released, including murderers and their facilitators, including Mahmoud Qawasmeh, who was released to the Gaza Strip and financed the abduction of the three youths, and Yahya Sinwar, who leads Hamas in the Gaza Strip. The same Sinwar who now poses refractory demands that make it impossible to advance to any deal." "It is also important to remember that 202 of the released Shalit prisoners have since been rearrested by the defense establishment for involvement in terrorism, of whom 111 are still in Israeli prisons, and seven Israelis were murdered directly or indirectly by those who were released." Liberman clarified that even before the appointment of a replacement for Lior Lotan, the Shamgar report should be adopted in full, "and thus draw clear boundaries for the State of Israel and its emissaries, primarily to stand determined against our enemies and make clear to them that we have no intention of compromising on the security of Israel."